With increasingly stringent mandates to adopt earned-value management standards on government programs, many organizations have the need to incorporate comprehensive cost management and earned-value capabilities into their project portfolio management systems. 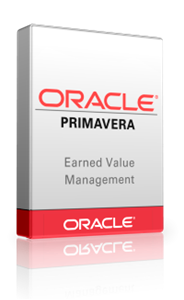 Oracle’s Primavera Earned Value Management is a comprehensive solution that integrates project scope, cost and schedule information from your established cost and schedule systems. It allows you to model complex burdening rates, track committed costs, and manage project performance in compliance with ANSI/EIA-748 standards.